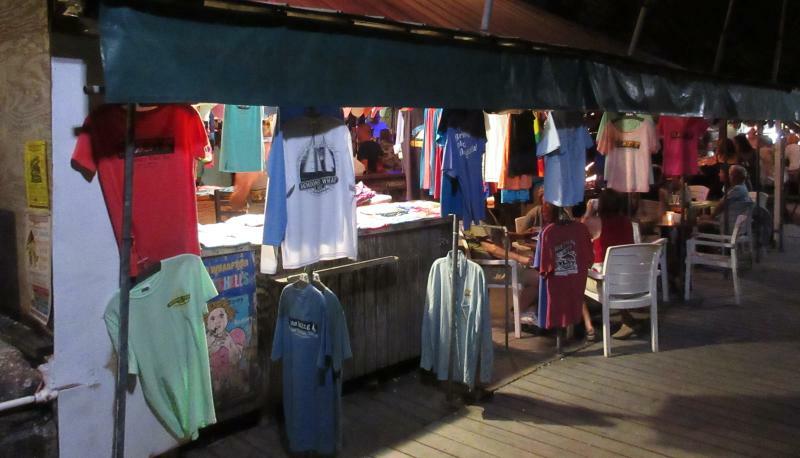 One of the attractions of Key West Bight Marina is the closeness of Key West life. 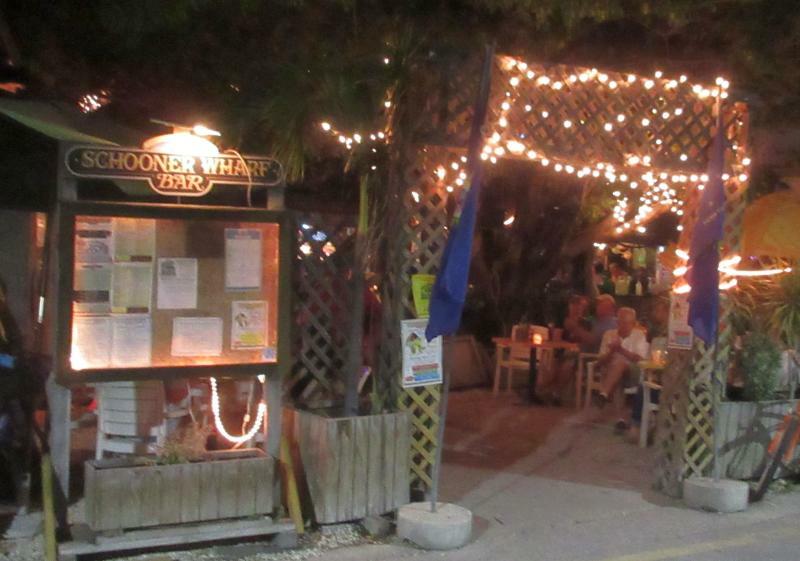 Duval is only three blocks away and Schooner Wharf is only 300 ft away. 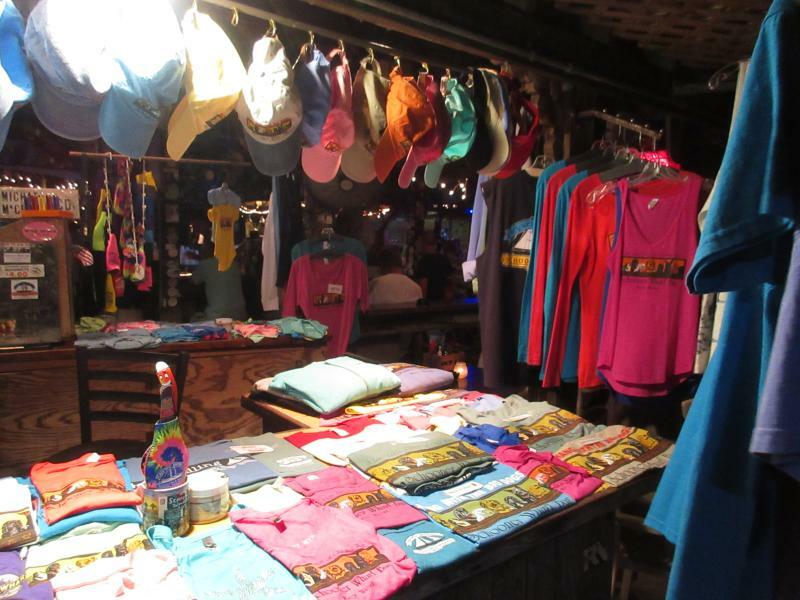 Given that contrast, we more often than not wind up at Schooner Wharf as opposed to somewhere on Duval Street. It originally was on a schooner but moved ashore years ago. It's totally unique in Key West. I mean, where else does happy hour start at 7:00 am! However, it ends at noon but starts up again from 5:00 to 7:00. 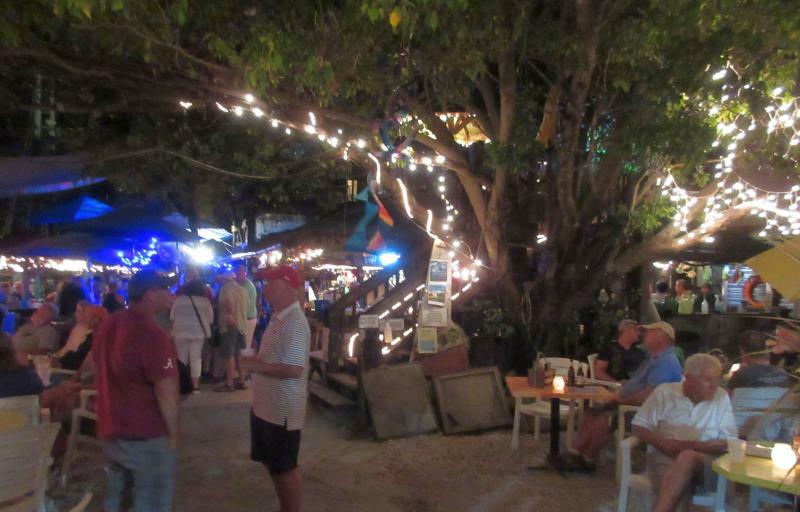 Walking into the place, you will immediately notice it has no roof and no walls, it is classic Key West open air. They have live music at least from noon through 10:00 pm everyday and they serve great drinks (voted best bar in Key West for six years) and great food. It is always crowded but you can usually find a table somewhere. Although there is no roof, they do have stretched cloth high above the tables, like a high, tent material. You may ask why? Well, think about the birds in the trees, need I say more? You will also find chickens roaming through the area looking for handouts. If you're even in Key West, it's not to be missed. Meanwhile, we've found out more about our virus. It turns out that it's really a modified form of a flu virus and we are contagious to some degree for 7 days after we came down with it starting the day before the symptoms. That would make this coming Sunday the first day we're no longer contagious. We still feel kinda of crappy but at least we're improving each day.